Once upon a time, journeyman singer/songwriter Tom Baxendale‘s craft called him to leave his native Sheffield to seek fame and fortune in London. Though bitter experience eventually led him to return home, his tale has since taken a few unexpected twists. If you’re an astute TGTF reader, you might have caught a quick mention of him in our coverage of Sheffield art rock band The Payroll Union back in 2015. Once The Payroll Union finished work on their second LP ‘Paris of America’, Baxendale turned his attention back to his solo work, which has now culminated in a stylistically different but remarkably refined album of his own. Cinematically titled ‘In the City a Short Time Ago’, Baxendale’s debut solo album is a finely tuned blend of lo-fi psychedelic pop and acoustic alt-folk. Many of the songs were written during his time in London, but they were performed and recorded more recently in his home studio in Sheffield. It’s worth mentioning that the album was a complete DIY effort, with Baxendale himself providing all of the instrumental and vocal parts, because the end result is a surprisingly polished and cohesive recording. ‘In the City a Short Time Ago’ is neatly bookended by song titles related to dreams, which are presumably what prompted Tom Baxendale’s travels to London and back again. Uptempo blues rocker ‘All My Nightmares’, which we originally featured as the album’s first single back in July, starts the proceedings off on an energetic, though perhaps not particularly optimistic note, establishing a consistently shadowy overall tone. The mood shifts subtly but certainly over the course of the 10 song tracklist to the enigmatic stream-of-consciousness of closing track ‘Every Dream’, where a minor change to the final refrain reflects a deeper conflict embedded in the verses. In between, Baxendale demonstrates stylistic versatility and a solid knack for writing a clever lyric. Most of the songs on the album are conspicuously simple in their structure, but rather than coming across as square or trite, they instead seem deliberately concise and focused. Thematically, they deal with the dark and difficult aspects of interpersonal relationships, and Baxendale slowly reveals several different emotional angles, by turns sharply sharply cynical, wistfully melancholic and tenderly pleading. Similarly, Baxendale’s singing voice doesn’t immediately stand out as special, but it makes a strong impression on introspective tracks like ‘Everything I Ever Said’, where his slight throatiness and mildly strained high notes convey a somewhat disarming sense of fragility. Other standout moments on the album include the jangling guitars of ‘Red Rag’, the straightforward folk rock ballad ‘All I Ask’, and the raw, gritty cynicism of ‘Straight Face’. ‘All I Ask’ in particular is a striking juxtaposition of superficial musical simplicity and poignant lyrical subtlety in lines like “I will not ask you to be grateful / that I’ve wiped the slate clean / all I ask is that when you return / you don’t tell me where you’ve been”. The song reminded me very strongly of Jake Bugg‘s more pensive and vulnerable moments, especially ‘A Song About Love’ from 2013 album ‘Shangri-La’, which I singled out as “displaying a deftly written tenderness in its lyrics and a remarkably effective vocal technique”. The same can be said of ‘All I Ask’, whose undeniably memorable chorus melody is delivered in a similarly evocative vocal performance from Tom Baxendale. The live performance in the video below is an even further stripped back version of what appears on the album. Baxendale’s travails in London might not have led to commercial music success, but they did clearly allow him to hone his songwriting skills. The songs on ‘In the City a Short Time Ago’ demonstrate a musical sensitivity and emotional depth that grows from experience. Stylistically, the retro Seventies’ vibe and minimal production of these songs comes as a welcome breath of fresh air among the smog of many modern studio recordings, and I could easily hear them fitting into the format of BBC Radio 6 Music, should that erstwhile institution be interested in offering Tom Baxendale a happily ever after. 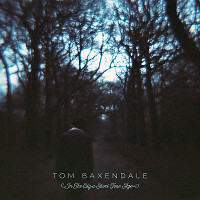 Tom Baxendale’s excellent new album ‘In the City a Short Time Ago’ is out now on Sheffield indie label Backwater Collective. Click the highlighted links to find TGTF’s previous coverage of Tom Baxendale and The Payroll Union, respectively. If you happen to find yourself in Sheffield this autumn, you can catch Baxendale live at the following venues.